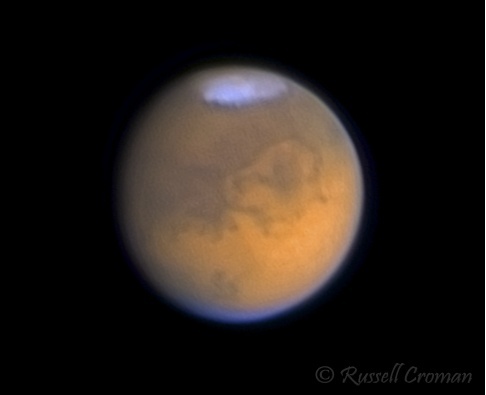 BIG Mars Opposition this Month! 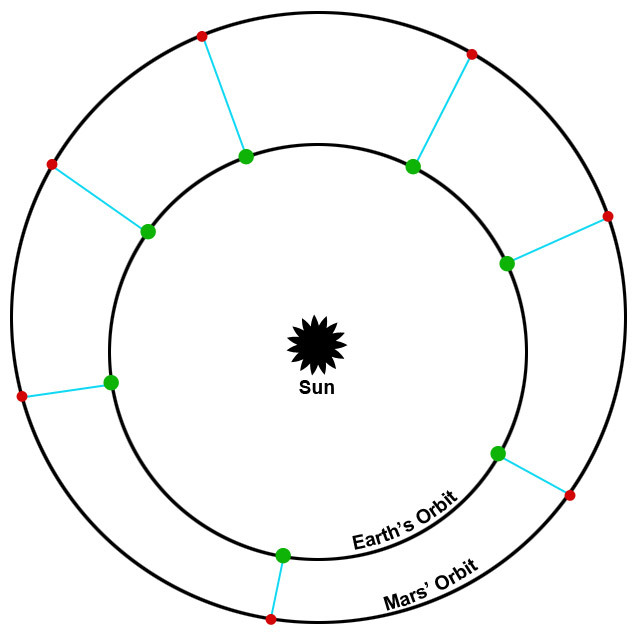 Earth and Mars orbit diagram representing how the opposition distance (blue lines) between the planets (Earth = green and Mars = red) can vary depending on where in their orbits the opposition takes place. At the end of this month, on July 27th, Mars will be in opposition and reach its greatest angular diameter — 24.3-arc-seconds — for the year. This is the best opposition since 2003. It’ll be greater than 21-arc-seconds tonight and well worth observing. 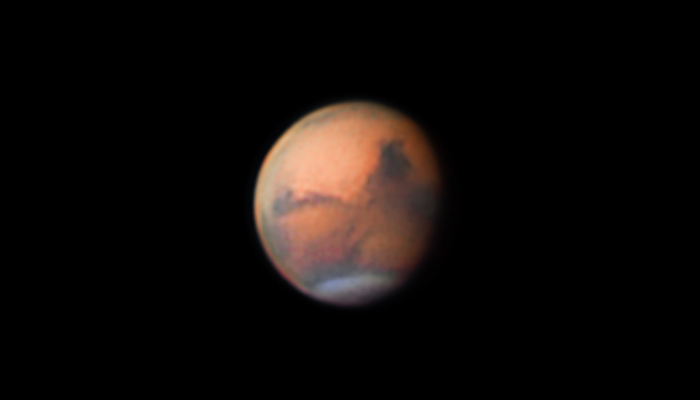 For an explanation as to why some oppositions are better, what to expect from this year’s event, and accessories to better view and image Mars, see our blog post: Mars Opposition 2018 Preview.